While New Zealand is 2,000 kilometres long, and at best 500 kilometres wide, it has over 90,000 kilometres of highway. Despite propagated images of New Zealand as a land defined by its coasts and formed upon its waterways, it is primarily through streets and motorways that we navigate our daily movements. Nevertheless, roads are often seen as secondary to place; simply a means to travel from one site to another. This exhibition takes its cue from J. B. Jackson’s text A Sense of Place, a Sense of Time. Jackson states that one of the least investigated aspects of culture is our ambivalent attitude towards roads, observing that beneath the varied (but unrecognised) reactions to roads is a basic acknowledgment of them as a very powerful space. The artists in A Sense of Place consider roads as worthy of their own investigation. Together, the works in this exhibition give a sense of the complexity of our relationships with roads, from the road as a contested site to places that play a significant role in shaping the community around them and offer meandering sites of private experience. Salome Tanuvasa’s 16mm film Queen St records the everyday movement along the main drag in Panmure, which as a young child was her path to and from school. Her local surroundings inform her work and as a place of daily commute for Tanuvasa, the road itself became the main formation of her understanding of her environment. The films grain and colour adds a layer of nostalgia to an area that has such personal relevance for Salome. Similarly, Michelle Beattie’s sculpture Landscape study reflects upon her daily walk to work from Kingsland to Grey Lynn. The small collection of objects that sit atop a custom made plywood plinth were found upon her daily journey, a humble keepsake of the materials that were readily available on her walk. Photographer Laurence Aberhart trains his lens of roadside sights that, though integral to the neighbourhood, oft escape our notice. It is these miniature moments of our everyday existence that Aberhart tries to capture as a reminder that one day perhaps these sights will no longer be here. His photographs are beautiful in their simplicity, frankly depicting what is there in a timeless manner without flourish or fanfare. Robin Morrison’s iconic 1977 Ponsonby Calendar features the local businesses and their owners that were dotted along Franklin, Jervois and Ponsonby Roads. An interesting piece of history, the calendar has now become a document of the changes and gentrification that the area has gone through. Though the names of most of the shops have changed, there are a few that still remain – suggesting that as well as the physical building landmarks the road itself can also become an icon of a neighbourhood. In Night Scene Dairy (2013), a long exposure photograph by Anita Jacobsen, there is a lone figure that stands dressed in clothing that masks the face on one side with a blurred motion dog to the right. This is one image from a larger body of work that depicts the happenings at the local dairy of her neighbourhood, Rosehill, Papakura in South Auckland. The dairy becomes a hub of sorts for the community and Jacobsen examines the effect that the environment can have on our sense of self and identity. Siobhan van Heerden’s series of photographs consider the empty streets around Papatoetoe. Originally beginning as an investigation into the under-age prostitution that occurs along these streets, Siobhan’s concern shifted to the hearsay and rumour attached to Hunters Corner. Taken in the early hours of the morning, these photographs question whether traces of infamy or community dispute linger on the unpeopled roads. In Tight Rope (2011) Jeremy Leatinu’u films himself walking along the middle of Church Street, Ōtāhuhu. The space allowed for him to do so safely is minimal. Walking with one foot directly in front of the other and with arms stretched out, Jeremy apes the balancing act of a tight rope walker, hinting at the precariousness of his walk. Produced in part in response to a hit-and-run accident that occurred on Church Street, Jeremy’s work considers the fraught ownership of roads as public spaces, testing to what extent roads can accommodate for both cars and pedestrians. A similar disruption of the implicit rules of the road can be found in Michael Tubberty’s image The Long Road Ahead, Dame Whina Cooper. Originally published in The Herald in 1975, the photograph captures Dame Whina Cooper and her granddaughter — three year old Irene Cooper — at the beginning of their 1000 kilometre hīkoi from the far North to Wellington in protest against the sale of Māori land. Here too, the act of journeying along the road by foot gains poetic and political significance. As roads shift, merge or are built, their forms can enact massive change. The introduction of motorways in Auckland has had a huge impact on the movement between suburbs. Robert Ellis’ seminal Motorway Series (1963-1974) is famous for the portrayal of an urbanising Auckland as flattened aerial landscapes. Motorway/City No. 15 (1969) offers perhaps an ambiguous take on the impact of motorways on the city. It is difficult to tell what is road, what is motorway and what might be neither of the two. In the top half, a web of networks lines intersect and overlap, capturing something of the frenetic energy of road travel. James Wylie and David Ed Cooper have created a series of posters that consider the changing role of the Hamilton City Circuit. The road, now devoid of its usual function as a race track for the Hamilton V8s, is hypothetically repurposed by the two artists. The series of posters take graphic elements of mapping from the same V8 circuit to encourage a sense of community and also giving a sense of purpose back to the disused central city circuit. Video work Whakaiwhara by Thomas Hinton is the original name for Whitford Maraetai Road before it was purchased by Thomas Duder from Hori Te Whetuki in July 1866. Over time there have been multiple public and private developments and exchanges; at one time the road was used by Māori as tracks and today the land that follows the road is being cut down for a new housing development. His video work, which was made over the course of a year, depicts these changes through repurposing materials to create a powerful original renaming of the site. Scott Hamilton, Paul Janman and Ian Powell consider the multiple narratives running along Great South Road, a road of huge historic and cultural significance. 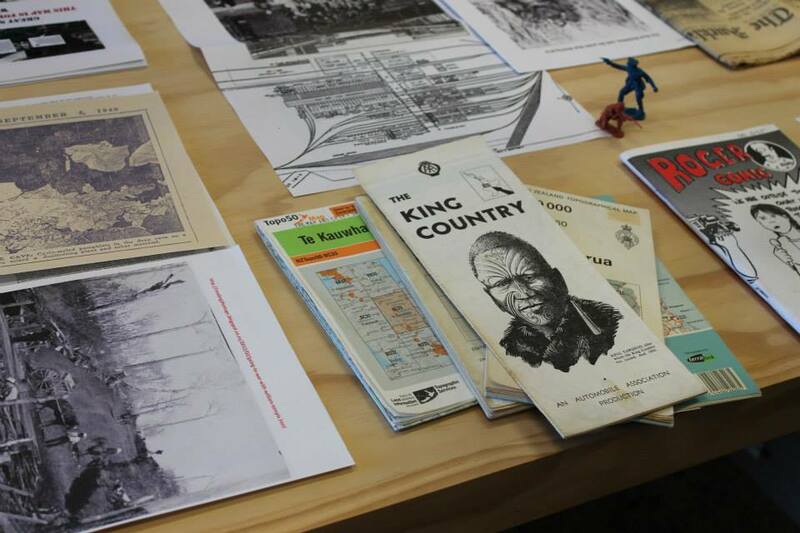 For A Sense of Place, the three artists have brought together maps, photographs and descriptions of Great South Road that have informed or relate to their research. As an added extra, the trio have hidden objects, texts and images in ten locations along Great South Road. On the table is a computer, which offers visitor GPS reading that will guide them to these locations and to the concealed artefacts. As Scott Hamilton notes on the blog readingthemaps.blogspot.com: these “[conceptual] bombs are designed to provoke different ways of thinking about the places in which they are stashed.” Visitors are invited to take these treasures and replace them with items for the next person to discover. 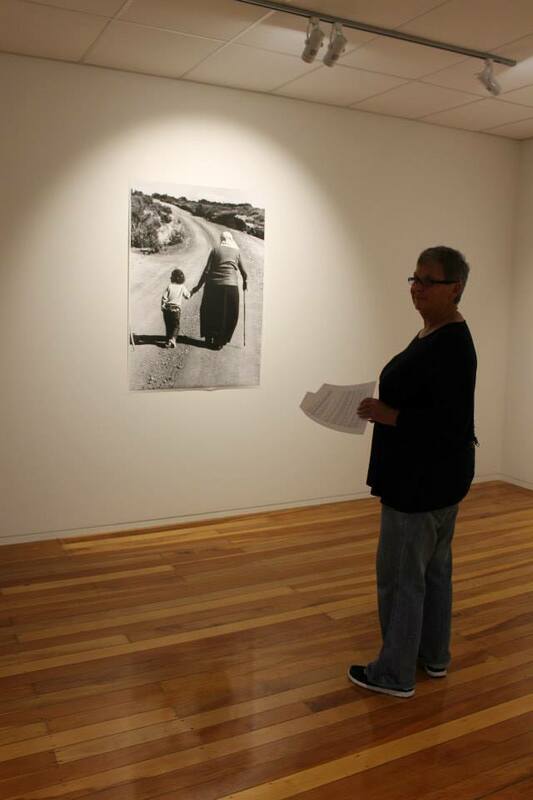 Written for the group exhibition A Sense of Place, staged at Papakura Art Gallery, Auckland from 10 May – 21 June 2014. A Sense of Place was included in the Auckland Festival of Photography 2014 and supported by Tautai Contemporary Pacific Arts Trust. Gregory Burke and Hanna Scott (eds. ), Drive: Power> Progress> Desire, Govett-Brewster Art Gallery, 2000, p. 96.